Contoocook, NH – April 25, 2012 – For over 37 years, engineers and product manufacturers have relied on Design2Part trade shows to find the best custom or stock parts and manufacturing services. Each D2P show features hundreds of American job shops and contract manufacturing experts showcasing their skills for design, prototypes, production runs, value added services, assemblies, and much more. Prototek is proud to be attending this year’s Design2Part exhibition to find new customers that will undoubtedly be impressed with our capabilities and customer service. We are always looking to expand, and believe it to be crucial to increase awareness of our rapid precision prototyping and production runs of both sheet metal and machined parts. Turn around time is becoming an increasingly saught after attribute in the production world, and here at Prototek, we will quote jobs in hours and are fully capable of shipping jobs in one day. We would like the pleasure to work with new customers to further expand our base and prove that we will do what ever it takes to remain at the cutting edge of the industry. We hope to see you there! Prototek Sheet Metal Manufacturing started in October of 1987 specializing in rapid prototyping and short run production of sheet metal and CNC machined parts for the hi-tech industries. Their facility is a new 40,000 sq. ft. building. Prototek currently has over 65 employees and are home to state of the art welding and bending departments, as well as plating rooms, assembly department, and much more. Prototek’s niche has always been a solid commitment to on-time deliveries of quality products. They fabricate from CAD (computer aided design) files or reverse engineer from existing models to enhance functionality Prototek keeps a large, constant supply of necessary materials, sheet metal stock, machinable plastics and metal, and PEM hardware. Prototek is currently ISO 9001:2008 certified and also ITAR and DFAR compliant. Our website offers a live chat text module that customers can utilize to ask questions to any of our office staff. This live chat is manned during normal business hours. In addition, our customer service team is focused on answering any questions our customers may have regarding ship dates, revision changes, and order status, assuring they are satisfied every step of the way. RFQ that are sent to fastquote@prototek.com or uploaded directly through one of our websites will receive a quote within a day. Prototek Manufacturing can work with many files including dxf, stp, step, iges, pdf, Pro-E, Solidworks, Autocad and Inventor files. A daily production meeting provides a clear line of sight of our manufacturing objectives and helps to reinforce our quick turn requirements. Our kanban system ensures we always have a complete stock of all common sheet metal types, consisting of over $120,000 of aluminum , steel, spring steel, titanium, tubing, channel, G-10, lexan, stainless, poly covered stainless, mirrored stainless, brass, copper, and much more. We also keep a very large stock of well over $10,000 in PEM hardware, as turn times have always been our niche, so we take every step necessary to guarantee our customers get their parts as quickly as possible. With our sophisticated scanning software, employees scan in and out of every job so our customer service can quickly find jobs if a customer makes a change or just wants to check up on their parts. Our suppliers are carefully chosen to meet our just-in-time needs by delivering materials within a day for those rare materials we do not stock. Prototek manufactures and ships products throughout the United States, Canada, Mexico, Puerto Rico, and Germany, according to our customers’ rapid prototyping of precision machining requirements, utilizing trucking companies that offer next day shipping, LTL and full truck load deliveries. At Prototek we also have our own arsenal of trucks and drivers to deliver straight to your door in applicable cases. Prototek remains the industry leader of rapid prototyping of precision machining, manufacturing and sheet metal. Fastest Deliveries in the Industry!! Same Day Shipping is Possible!! A daily production meeting provides a clear line of sight of our manufacturing objectives and helps to reinforce our quick turn requirements. Our sophisticated scanning software program helps to control raw material inventory, eliminate bottlenecks and track jobs on the manufacturing floor. Our suppliers are carefully chosen to meet our just in time needs by delivering materials within a day for those rare materials we do not stock. Prototek™ manufactures and ships products throughout the United States, Canada, Mexico and Puerto Rico, according to our customers rapid prototyping of precision machining requirements, utilizing trucking companies that offer next day shipping, LTL and full truck load deliveries. 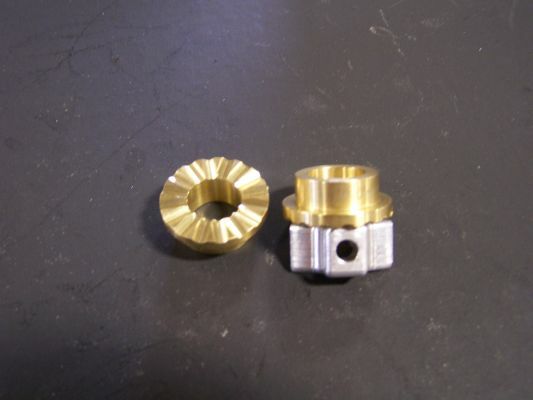 Prototek Precision Machining is here to help our engineers design and draw parts that are easy for us to work with keeping the delivery and price to a minimum. Please read below or contact our Engineering Team with any questions you may have, you can also Chat directly with them using the following link, please enter the Chat room and then enter our Engineering Chat Room. Outlined here are suggested practices for using the SolidWorks CAD software´s sheet metal functionality for SolidWorks. This information is supplied for training and may be redistributed and reused for training and instructional purposes, including posting on a company intranet and training (including paid) for reference usage. 1.Model A Formed Part For Most Parts. Always model a completely formed part and unfold to get the flat blank.Don’t make a flat and then try to bend it.This is absolutely impractical in 99% of all applications. 2.Define Sheet Metal Early In The Modeling Process. Always define “sheet metal” immediately so that the “extrude to thickness” function is available.By doing this you will be able to “rollback” to the flat state periodically to confirm that you are making features that can be unfolded.Add all your new features in the “no bends” state (rolled back).Don’t wait until the end to “insert bends” only to find out that your geometry is “unsuitable for unfolding”.When inserting the sheet metal definition on a model with only a single panel, you will get the “No Bends Found” message.This is normal, as all your subsequent features will be placed directly after the sheet metal definition with the model rolled-back. When creating panel sketches, define them with descriptive names (example —– BottomPanel —-, —– RightSidePanel —–, —– FrontFlanges —–, etc).Always roll-back and add new features to the panel sketch if they are not needed as a pattern feature.For items that need a pattern in the future, add hole wizard holes that are sequentially after the panel in which they appear.Essentially, make good use of roll back to group all your features for a given panel together. 4.Let SolidWorks Create Your “Form Radii”. Let the modeler create the “form radius” fillets between panels.Model your panels and features with sharp corners and let the system create the inner and outer radii for the model when you insert your sheet metal definition (or “roll forward’ you sheet metal definition). 5.Use “Complex” Panels To Keep Your Tree Short. When using panel sketches, be aware that you can extrude multiple closed contours to define many co-planar formed tabs that are not contiguous.Use a single extrude feature to define many panels that are coplanar. 6.Add detail to your edge flanges by using “edit flange”. When using “edge flange” functionality, if more detail is needed in the flange, always “edit flange profile” to add detail instead of cutting away.Also, if the flange is already created, edit the sketch that created the flange to add more detail. 7.Control Your Bend Relief By Modeling Them. Always model your own relief clearances, as this gives you maximum control over the form, size and location.If you decide to let the system generate your relief features, be prepared to compromise a little on the form, size and location. 8.How to “Globally” Redefine Your Material Thickness. When needing to re-define the thickness of a part, double-click the sheet metal definition, revealing two model dimensions on screen (thickness & default radius).Edit the thickness and rebuild the model to update to the new thickness.Note: If your attempt to redefine your material thickness and the model “errors-out”, the panels defined may not have been extruded using “link to thickness”.To clear the error, re-edit your features using “link to thickness”. 9.Design With Small Gaps When Needed. Design with small gaps (.001) between panels that will touch in reality.Doing so will allow the software to unfold the model. 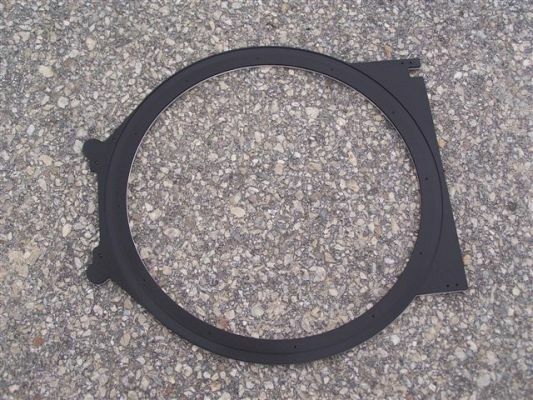 Don’t design one flange exactly coincident into another when it is in the folded up state, as the program will not be able to unfold the model.Of course this does not apply to any flange being taken off of its supporting base – these will always touch. 10.Minimize Your Reference To Bend Lines. Don’t references bend lines or the endpoints of bend radii when dimensioning any new feature, as this lends to possible instability of location when unfolded.Form Tools are particularly susceptible to this problem. 11.Use “Split Line” To Allow Two-Stage Unfolding. For formed profiles that need to be bent in multiple tooling stages, split the form radius into two segments and constrain the break point, yielding two concentric bends that can be independently formed to simulate your tooling steps.This is helpful with multi hit bends, like for an acute bend that requires two hits or a curl operation that is hit in multiple hits.If you are on an older version of SolidWorks, use small “micro” lines between the arcs. 12.Use Unfold To Make “Non-Oblique” Cuts. Always add an “unfold” feature when adding a cutout to a flat blank, but only when the cut required cannot be put in any other way.I.e. when a cut needs to traverse bend lines at an angle in the flat, or a shaped cut needs to be put into a large radius. 13.Add A Fold After An Unfold. Always add a “fold” feature after adding an “unfold” if a cut was made, or other feature added to return the model to its “finished” state. 14.Understand The Limitation Of “Edge-Breaks”. Avoid the edge-break command as it only does external edges, and not internal ones.Use the fillet or chamfer feature instead as you can control both inner & outer edges.As another alternative, add the fillets to the panel sketches if possible as this keeps the feature tree “tidy”. 15.Shallow “S-bends” – Avoid Thin Extrude Features Here. When modeling shallow “S-bends” that conform to the pattern line-arc-arc-line, always model the profile as a closed loop to assure more robust unfolding.Don’t use a thin extrude when there is an arc to arc condition with a shallow form, as bend deduction in less robust in this situation. 16.Choose “Common” Form Radii For Your Defaults. 17.Add Configurations To Help Your Manufacturing Process. When adding features such as extrusions that require a pre-hole, add the pre hole in a configuration and then model your extrusion “over” the pre-hole in a subsequent configuration.Doing this allows you to show both configurations for tooling. 18. Use Numbered Configs For Progressive Ops. When laying out a progressive stamping operation, create the model with numbered configurations (1 – flat blank, 2 – first form, 3 – second form, 4 – cam-pierce, etc.) that show the work to be performed at each station (whether in progressive die or hand fed).If the operations are performed in one tool, make an assembly with a component pattern.The component pattern’s “repeat” would match the advance of the tool.Adjust each instance of the pattern to the configuration showing the work done at each station.Thus this can serve as a guide for your strip development activities. 19. Understand The Limitation Of “Form Tools”. Avoid the use of form tools as the geometry created by them is not entirely editable.In cases when you decide to use form tools, be aware that SolidWorks will let you model impossible features. I.e.Single sided louvers without any material “pull back” from the ideal shear line, lances tabs will have same size punch and die openings, which are actually different based on the punch/die clearance.Essentially form tools will not account for cutting clearance in many cases without some “extra” work. If form tools are used, be aware of the editing limitation. 20. Use Your Model To Create A Draw Tool. When a draw tool is needed for a multifaceted part for which you have geometry whether imported or native to SolidWorks, the cavity function can be used to pattern an upper & lower punch & die, the same way a mold cavity is created. 21. Reduce or minimize “normal cuts”. Limit the use of normal cuts.While normal cuts are set as the default once a part becomes sheet metal, realize that this type of cut is not commonly needed for most sheet features. 22. Miter Flanges May Also Contain Arcs. When using miter flanges, realize that the profile need not be a single line and that the miter need not be perpendicular to the panel that is taken off of.That is miter flanges may be complex profiles and need not always be 90 degree bends.Miters may only contain lines in 2001+. 23. Set Your Relief Ratio To A Reasonable Number. When using the SolidWorks automatic relief ratio, use a factor of at least 1.0 instead of the default .500, as the default number is not manufacturing friendly in any way.If possible, set this as high as 2.If you are comfortable with the registry, set these default values there. 25. Legacy Installs Have Limitations. Understand the limitations in 2000/2001+ when inserting base flanges.Parts created with this method cannot unfold swept profiles (i.e. miter profiles cannot contain arcs, nor will “wall” flanges unfold because they are inserted “post” bends).Individual bend parameters (k factor) are not configurable per bend, but inherited globally.2003 remedies all these issues. 26. Use Real “PEM” Models. Do create an assembly with all your parts and PEM nuts in them. Use real PEM models from a library, toolbox or the PEM website http://www.pemnet.com. Don’t use fake PEMs or part features to simulate PEMS.If you use “fake” PEMs then use configs to make the proper hole without the hardware. 27. Define Semi Perfs In The “Attached” Part. Always define semi-perfs in the parts that they are in and have then drive the size and position of the corresponding in-context “hole” features in the receiving part (typically a hole & slot). 28. Use Patterns For Hardware. Always use patterns for multiple PEM and fastener features so that you may insert a single PEM into the “primary” hole and use a component pattern in the model.Always name these patterns so you can easily identify the parts. 29. Use Assembly Overlays To Show Part Progression. For tooling layouts in particular, to show a part in its pre-tooled and post-tooled state, create an assembly of your sheet metal part and superimpose an instance of your part upon itself. Create 1 assembly configuration corresponding to each sequential per part state (see PRT-18, configure instance 1 to “2 – first form” and instance 2 to “3 – second form”).Then create a drawing of the assembly showing instance 1 and use an alternate position view to show instance 2.In this way, you can get a superimposed view of 2 states of the part.This is critical as all tooling receives a part in a given state and outputs it in another state.This is a work around for the fact that alternate positions cannot be made for parts. When initially inserting your flat blank into a drawing, always take the system generated “flat pattern”, as this flat blank “joins and solidifies” the panels into one panel with continuous profiles.For CNC processes, this eliminates the “line-line-line” condition that may hinder turret programming (in particular). Always provide a reference flat blank with any design for estimation and manufacturing purposes.Use the “measure” command to chart out the full “perimeter” of the part (simply touch the main surface) and include a note indicting this length.This can be very useful in determining laser time, cutting tonnage and wire-cutting time for hard tooling. Always require your vendor to be responsible for bend development and flat pattern accuracy and note this in the layout. When inserting an isometric (or other 3D view) of a sheet metal part, always turn on “Tangent Edges with Font” or “Tangent Edges Visible”.Never leave the view with the tangent edges turned off. Generally turn off “Tangent Edges With Font” or “Tangent Edges Visible” in an orthogonal view, as this often confuses the eye with the stock thickness.Ignore this rule when you need to show clarity. When working with an imported sheet metal part, to gain control over the inner form radii, use feature works to “recognize” all the inner and outer (form) radii and then delete them from the model.After this is accomplished, insert the sheet metal definition into the model that now has dead sharp corners and you will be able to define the exact form radius.Use this method to overcome the “locked” state of form radii on imported models. For an in depth treatment, see Using Imported Data. For imported sheet metal parts, to gain control over the panel sketches, use feature works to strip the radii as above and then manually “recognize” each panel starting with the outermost panels and working your way “inward” to the panel that shares the most bend lines with other panels.Once this is done, add sheet metal and edit the sketches as needed. After initial insertion of an imported model, insert a sheet metal definition into the part to verify its unfoldability.If it unfolds without issue, the part will be “receptive” to full feature works recognition. Get data that is closest to you kernel as possible.I.e. get parasolids before IGES if possible. When you are recreating a native SW model (if you are a vendor) from a customer supplied imported model, define an assembly and superimpose your model upon theirs (with mating).This allows you to make a shape comparison of both models.Ideally, you would superimpose your model upon theirs immediately after defining the first main panel.Doing this allows you to check for errors feature-by-feature as you create your model.Additionally, you can now derive edges from their model to develop your panels.Also this may be the only available method to derive geometry from the supplied model in the case of a “hybrid” (i.e. paper print + model control the part geometry). All suggestions made here are for training purposes only. The author is not liable for any loss relating to the misapplication or usage of this information.You may freely use, reproduce and print this data as long as it remains intact in its original format. The information presented here may be used for “paid” training purposes. Prototek is known for their rapid production rates of precision sheet metal and machined products, and constantly upgrade old equipment with state-of-the-art machines that allow them to grow with the industry. 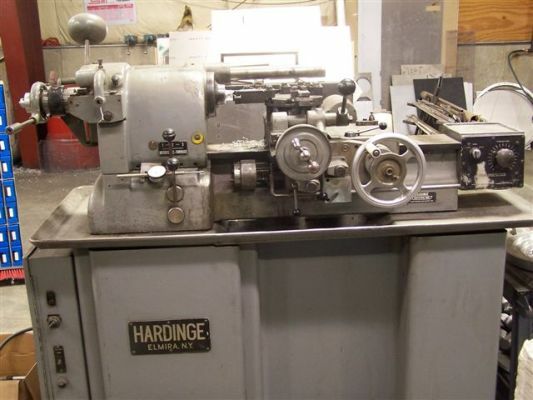 One of these productivity increasing machines is the Behringer Miter Horizontal Band Saw. 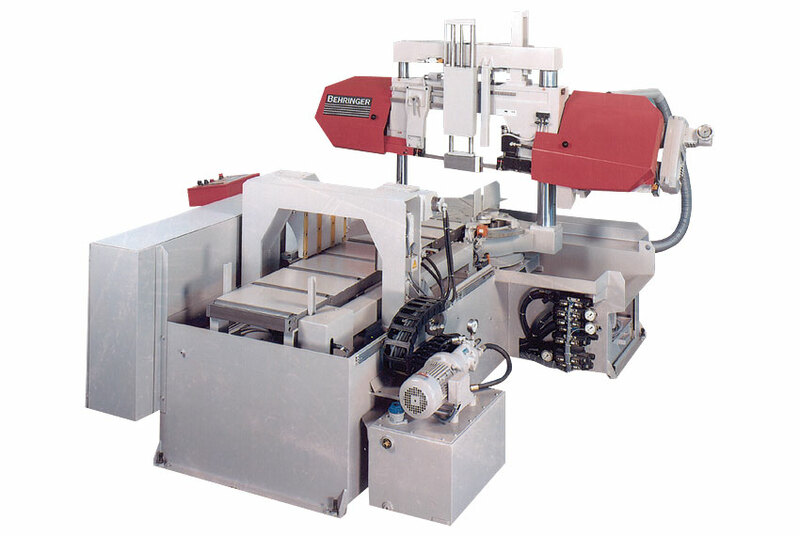 This machine is fully programmable to feed stock material and make precise cuts between 30 and 135 degrees. 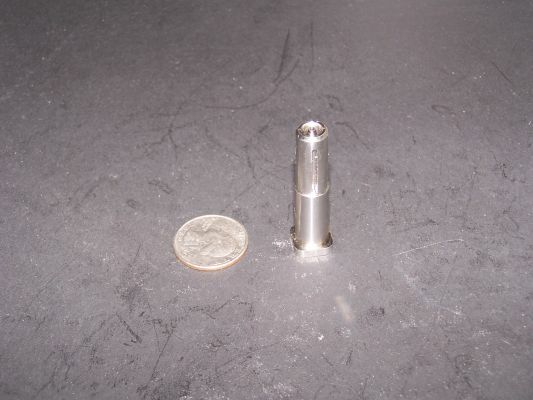 With the decrease in operating times and more precise cuts, they will be able to save more material and use CNC machinists where they are most valuable. With their new cantilevered racking system and programmable band saw, Prototek’s machining department will have everything it needs to keep up with the increasing work flow in the department while maintaining the fast turn-around times everybody has known Prototek for since 1987. Class A deburring shall have no visable punch marks, meaning no steps, sharp edges, corners shall be free of burrs & hangers, microjoint webs shall be filed smooth on inside of cutouts. on punch side of part the dimples from parting punching shall be removed. burr side of part shall be smooth. part shall be checked for raised burr after timesaving. Class B deburring shall have no steps from punching corners shall be cleaned of tabs & hangers. microjoint webs on inside of cutouts shall be filed smooth. burr side of part shall be smooth. Class C deburring consists of removing tab burrs, and microjoint webs in cutouts. cleaning complete edges is not nessasary. * Check print for welded seams, meaning if it is a box, do not deburr the edges that are getting formed up & welded togeather. * Check print for any notes describeing any edge callouts, meaning that edge needs to be radiused or no punch marks allowed. or if notes calling for a speific broke edge. custom sheet metal, fabricated precision sheet metal, precision sheet metal, precision sheet metal fabrication, prototek, prototek manufacturing, short run sheet metal. Prototek will be featured in the newest edition of The Fabricator, a magazine presenting all new innovations of the high tech industry of rapid production and prototyping. Specifically, Prototek will be accentuated for their purchase of the new LC-C1 punch/laser combination machine from Amada. Rapid production and prototyping is becoming a bigger industry every year. Staying ahead of the competition is a feat only the adept will accomplish. These are the types of companies The Fabricator is associated with, and exactly why Prototek has been getting so much publicity. Prototek can stay ahead of the competition by incorporating state-of-the-art technologies in a very methodological way, benefiting both the company and the customer. Prototek utilizes a scanning system, where each Prototek employee must scan into the specific procedure he or she will be working on, so customers can check up on their parts online, and see how their rapid prototypes or precision production parts are progressing through the shop. With the addition of the new LC-C1 punch/laser combination machine, Prototek is now able to run fewer shifts on the sheet metal punching and lasering cells, while increasing production throughput, decreasing lead times, and decreasing cost. “Before purchasing the C1, we were running 3 shifts in our punching and laser cutting departments at 90 percent capacity. Now, we’re running 2 shifts operating at 80 percent capacity, and we’ve increased sales by 15 percent!” Commented Keith Isabelle, General Manager of Prototek. The LC-C1 has a revolutionary design, decreasing time when switching between turret and laser cutting modules. There is also a vacuum built into the turret, allowing for the punching of holes 50% smaller than traditional turrets! 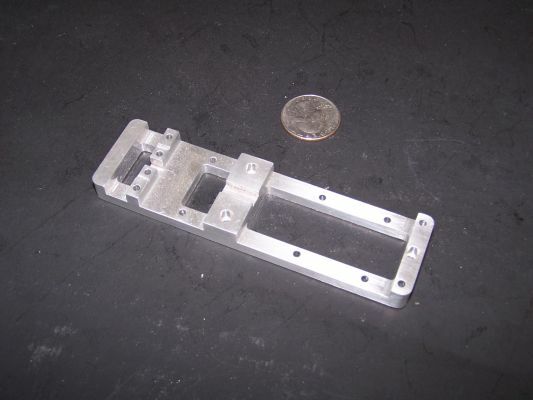 This allows for small geometry and common holes to be punched out of a sheet of metal, while all the contours and complex geometry gets cut by the laser. The combination machine doesn’t stop there though. It also has the capability to tap holes, counter sink holes, and bend parts! Prototek previously had 6 employees working in secondaries departments doing such tasks, but with with the implementation of the LC-C1, four of these employees were able to switch to more specialized departments. All around, the LC-C1 is the perfect sheet metal prototype and production cell for Prototek. Prototek Manufacturing started in October of 1987 specializing in rapid prototyping of precision sheetmetal for the hi-tech industries. Their facility is a new 40,000 sq. ft. building. Prototek currently has 65 employees and has expanded into rapid turn machined parts, SLA, and 3D printing. They are home to state of the art welding and bending departments, as well as painting and plating rooms, assembly department, and much more. Prototek’s niche has always been a solid commitment to on-time deliveries of quality products. They fabricate from 3D solid models or CAD (computer aided design) files, and keep a constant supply of necessary materials. These include stainless steel, cold rolled steel, and aluminum sheet, tube, angle, and channel, lexan and other plastics, copper sheet and bar, spring steel, mirrored stainless, and a large stock of hardware. Prototek is currently ISO 9001:2008 certified and also ITAR and DFAR compliant.